I loved this book. It was so captivating and intriguing. I started listening to it on audio, but I ended up buying the book and rereading the part I had listened to on audio. I finished the rest of the book by reading it. 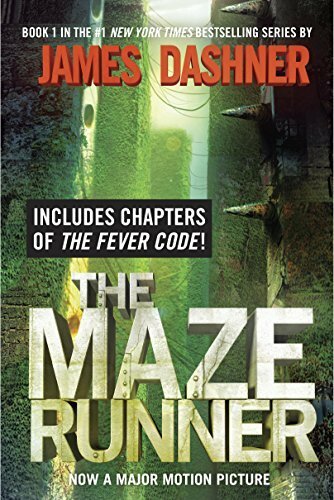 I enjoyed how Dashner kept me turning the pages and wanting to figure out was going on. I felt like this was a great science fiction book that made a great fun read. I did not like the language in this book though. They used a good amount of it too. The Gladers also had their own slang which seemed to take the place of some bad words. It also had some violent scenes which I loved, but makes me recommend this book and the series for teens and adults who love sci-fi.